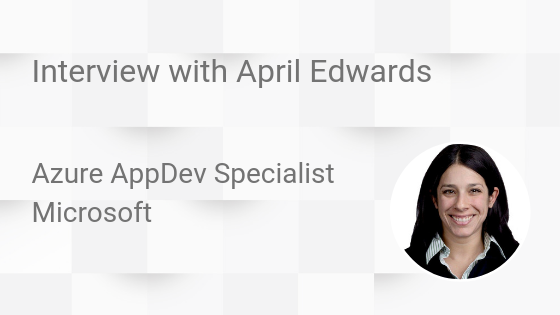 Recently we sat down with April Edwards, Azure AppDev Specialist at Microsoft, to talk all things Azure. We found out what the blockers for adoption are, how companies can get started on their cloud migration journey, and what common pitfalls to avoid. Izzi: What is the biggest blocker you see when it comes to adoption? April: I think most of the time it comes down to companies not knowing where to start. A lot of customers see Azure as part of their future but have no idea how to begin that journey. Izzi: What steps should companies take in order to begin that journey to Azure? April: A full audit of what they have today is essential. There are always hidden services that have been missed or forgotten about and a readiness assessment with a Managed Services Provider (MSP) can be a really good starting point to enable a company to pull those services up, see what’s there and what’s not being used, and then rightsize. I would say that the basics any company needs to have before migrating to the Azure platform are a readiness assessment, networking connectivity, authentication methods, and a security framework. 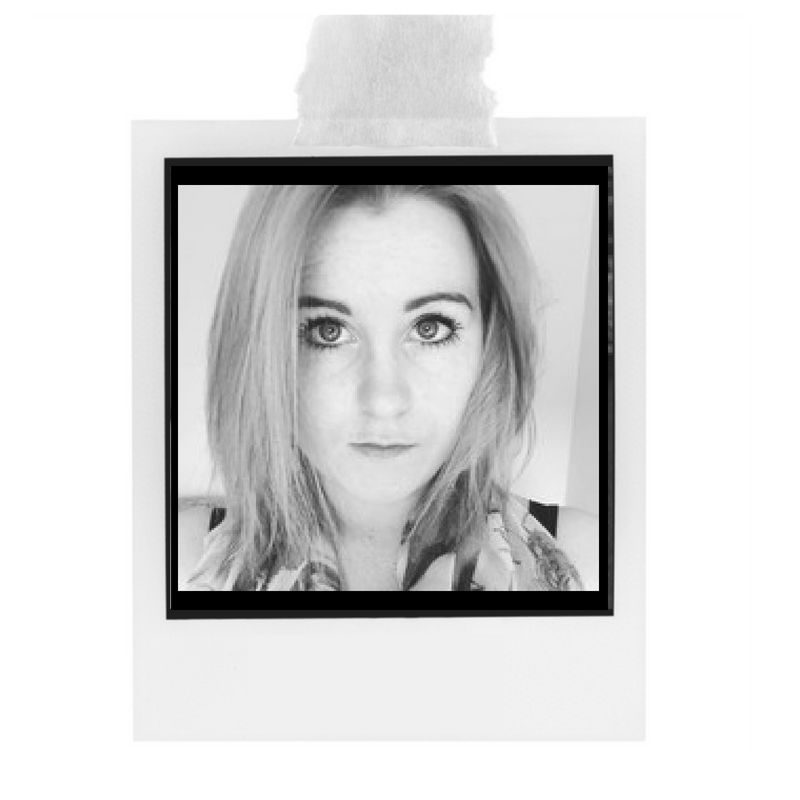 Izzi: Do customers need a particular skill set before they begin? April: I don’t think customers need a specific skill set to migrate their workloads to Azure, that’s why we recommend partnering with an MSP who can be there every step of the way. However, if the team does get skilled up on Azure then companies will see higher adoption rates, better understanding and faster time to deploy. We offer a huge range of free online training at Microsoft such as our Microsoft Learn website and Azure Fridays. We have a whole list of online resources that people can watch in small snippets, or full demo videos to learn from. 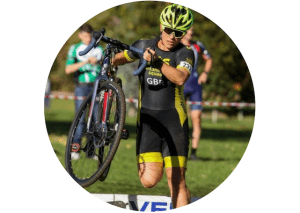 For those who prefer a more hands-on approach to learning we do hacks, lab training and sponsor partner days. There really is something for everyone and for the most part our training is free and readily available. Izzi: Do you see a lot of lift and shift? April: A lot of customers come to us with lift and shift in their minds and I think this is actually one of the biggest pitfalls a company can make. Cloud isn’t just a static platform, it’s about what you’re actually consuming. 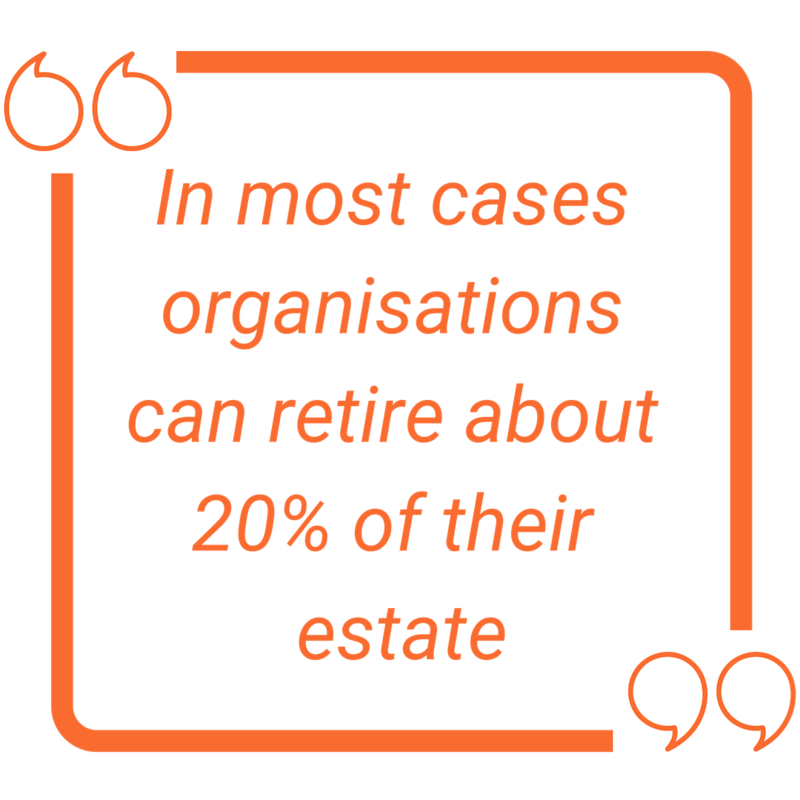 In most cases organisations can retire about 20% of their estate because they’re not being utilised and they’re over provisioned. That’s why it’s so important to have that initial readiness assessment prior to starting their Azure journey. Izzi: What other pitfalls should companies should avoid? April: One common mistake is to think statically instead of dynamically in the cloud. Thinking statically can result in companies not leveraging the capabilities of the platform as the temptation is to just pick the workloads up and move them without understanding how the basic components work. A misconception is that all the technology works like it does on-prem, again often resulting in a lift and shift scenario with an initial cost benefit but zero performance benefit. The greatest cost benefit comes from understanding the capabilities and components and properly leveraging the Azure resources. Izzi: How does the pricing work in Azure? April: This is an important question as I think a lot of customers aren’t aware of the pricing breakdown of how Azure services work. In Azure, customers aren’t consuming static services, instead they pay as they consume. We measure things in gigabytes versus a static whole amount and I think many customers aren’t used to a pricing model like that. We are shifting the industry away from a capex model to an opex model for their IT consumption. Izzi: So, customers can experience cost savings in Azure? April: Definitely. A serverless platform means no manual patching, so customers are saving on day-to-day costs, hardware monitoring and management, operating system monitoring and management, patching, and back-up costs. Add to that the time that’s being saved, and what they would normally pay their employees to do and there’s a real cost saving by moving workloads to a cloud platform like Azure. 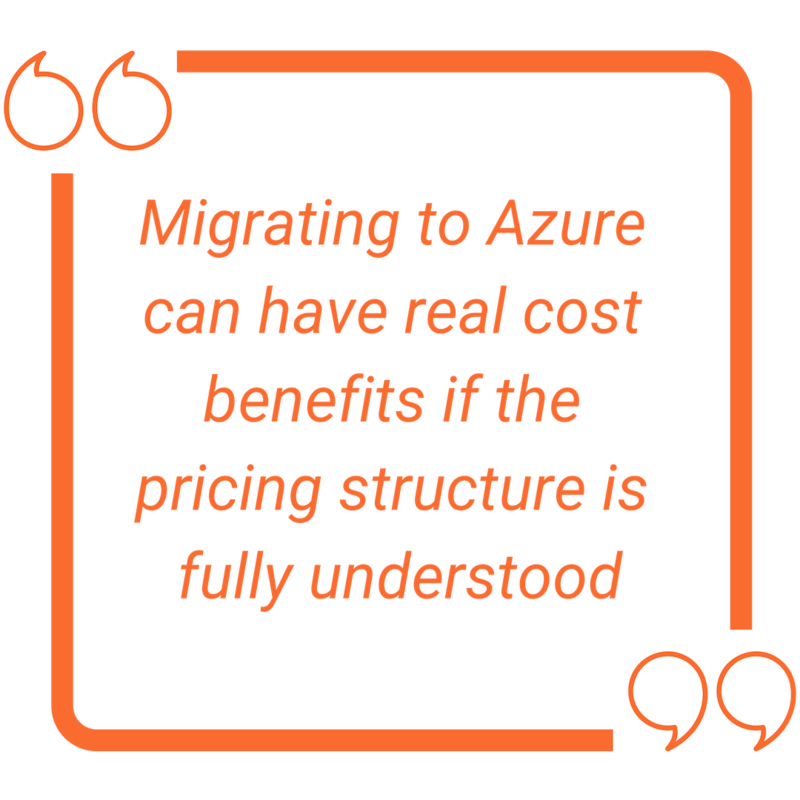 Migrating to Azure can have real cost benefits if the pricing structure is fully understood. Using a Cloud Service Provider to manage cloud costs can help customers develop a better understanding of their billing and limit overspend. Izzi: Why do you think so many people are moving to Azure? April: Microsoft runs on trust. We work hard to ensure all workloads in Azure are secure and that there’s a high level of trust between us and our customers. We never sell data for profit – the customer owns their data and that won’t change whether the data is on-prem or in Azure. The cloud cost benefits are also a huge selling point I think. By taking the time at the start of the journey to work with an MSP to do a full readiness assessment and with Microsoft to retire any unutilised workloads, customers can not only notice a cost benefit, but also a huge performance benefit. There’s also the free online training and resources we offer at Microsoft. Whether it’s virtual or in-person, whether you’re an Azure novice or a veteran, or whether it’s individual or group learning there really is something for everyone. One of the big things about cloud is that you’re not taking away someone’s job. You’re taking away the tasks of reactive infrastructure management and allowing them to their job better, and more efficiently. Izzi: What final piece of advice would you give to people considering an Azure migration? April: My recommendation if you’re considering a move to Azure is this… do your research, find an experienced MSP to guide you along your journey, and take advantage of the free resources Microsoft offer. You’ll save time, money and see a huge performance benefit.